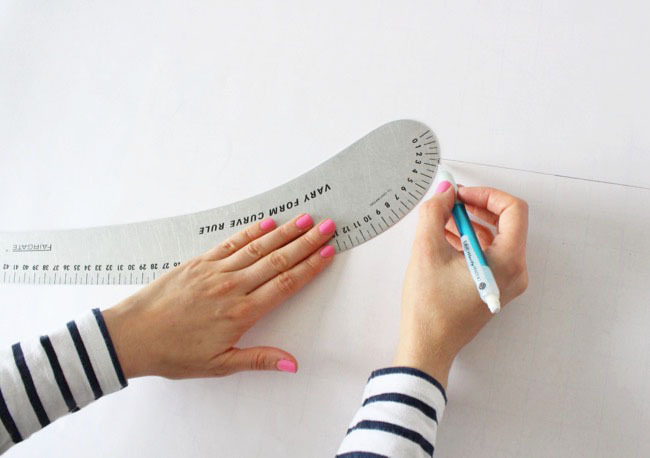 A pattern master – or pattern maker – is a super handy tool that you can use as a straight ruler, curved ruler, set square for drawing angles and squaring off corners, and for drawing lines at particular distances parallel to an existing line. This latter benefit is the one I use the most – it’s really useful for adding seam allowance to a pattern and drawing grainlines parallel to a cutting line. Personally I don’t really use it for drawing curves, as I prefer the shape of curve on a vary form – see below. 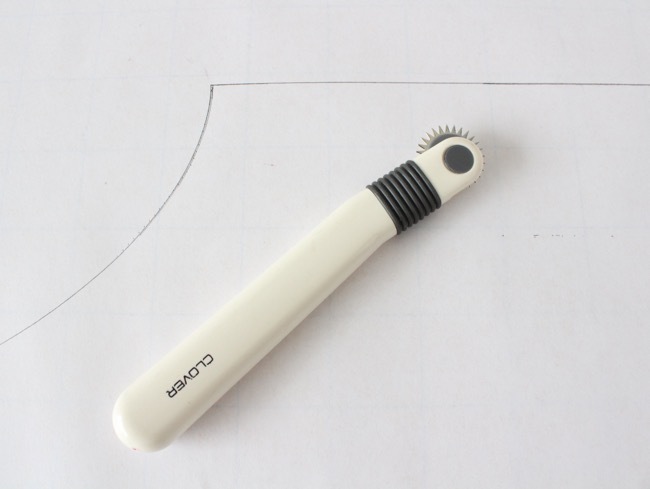 This is my favourite tool for drawing curved lines – handy for armholes, curved seams, necklines... It may look like it only has one curve but, depending on which part of the ruler you use, you can get various different shapes and depths of curve out of it. This tool also has measurement lines on it. 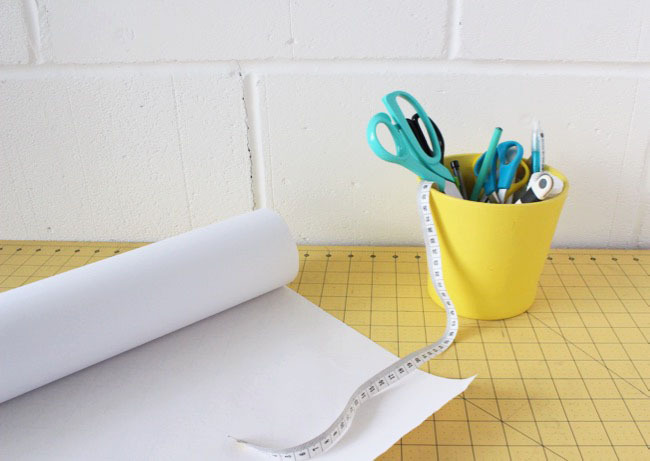 Personally I never use this for measuring curves though – I prefer to stand a tape measure on its edge instead. A sharp tracing wheel is a useful addition to your tools stash. Place some paper underneath a pattern you want to trace off, run the sharp tracing wheel over the lines and it will make indentations onto the paper below. You can then go over these markings in pencil. 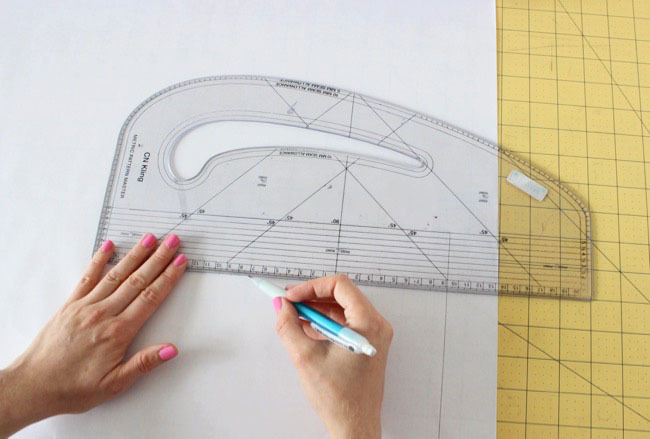 Just be sure not to use a sharp tracing wheel to trace patterns onto fabric with dressmaker’s carbon – you’ll want a blunt one for this, as the sharp ones can pierce holes in your lovely fabric! A cutting mat will protect your table from that tracing wheel, pencil lines, scissor scratches and more. It’s a good idea to get as large a cutting mat as you can afford, it really is a good investment. We have A1 Fiskars cutting mats in our studio and get soooo much use out of them. And finally, stock up on lots of paper! 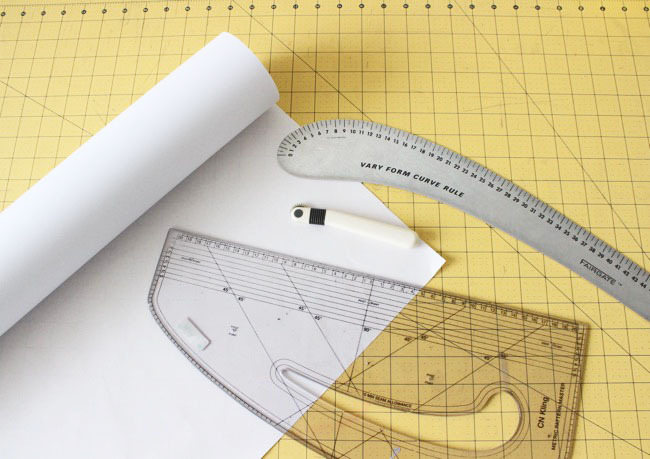 Nearly any kind of paper will do for making or tracing sewing patterns – tracing paper, flipchart paper, baking paper... In the studio we keep large rolls of plain printer paper in 60gsm rolls. We also sometimes use lightweight spot and cross paper. As the name implies, it has little spots and crosses on it at regular intervals and at right angles to each other, which are handy for drawing on both straight and bias grains, marking right angles and quickly calculating measurements. 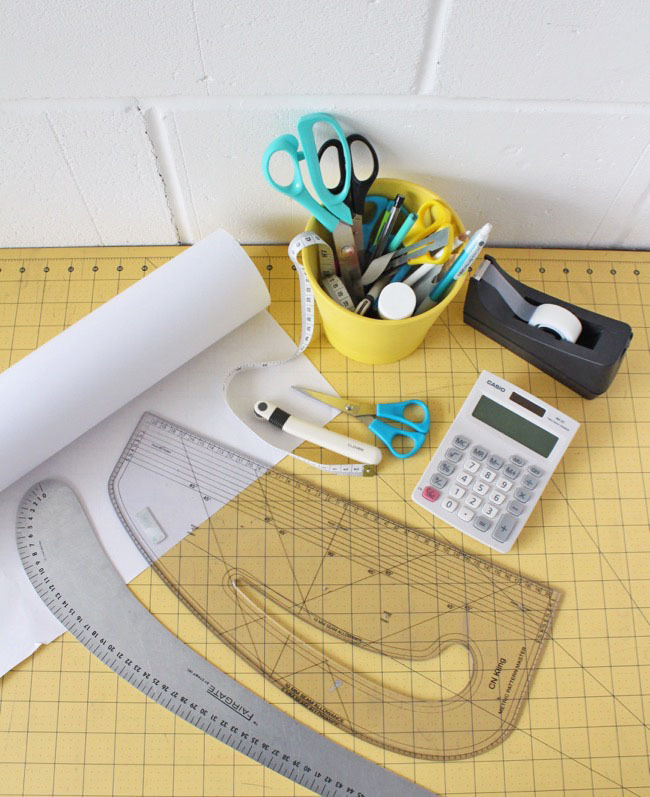 So those are my most-used tools for drafting, tracing and adjusting sewing patterns. I’d love to know what yours are – do share in the comments! Liked this? 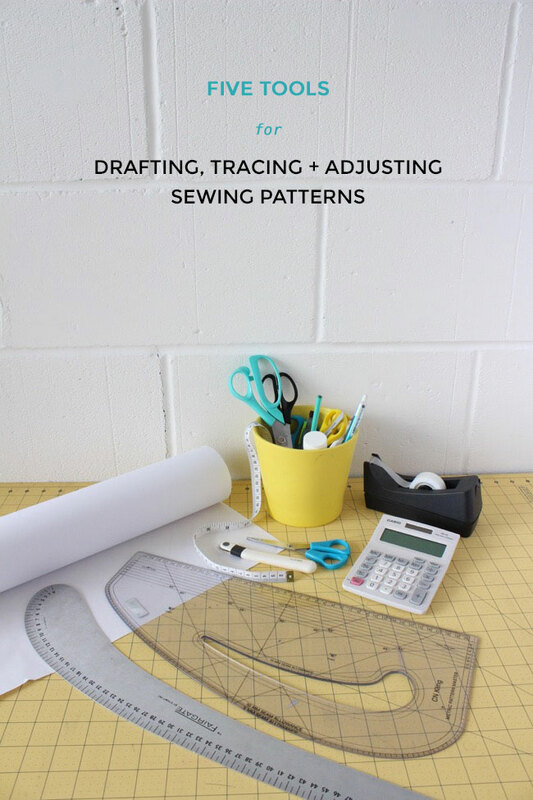 Check out my tips for tracing sewing patterns and tools for adding seam allowance. 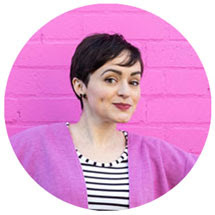 Some of the links in this post are affiliate links, meaning that if you choose to buy something from that site, we receive a small percentage of the sale as compensation. This doesn't cost you anything extra. 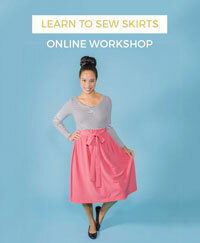 Sewing Space Tours...Lucy's Factory Studio!